Republican candidates jockeying to run against Democratic President Barack Obama, including frontrunners Mitt Romney and dark horse Tim Pawlenty, face significant communication hurdles. Republican candidates jockeying to run against Democratic President Barack Obama, including frontrunners Mitt Romney and dark horse Tim Pawlenty, face significant communication hurdles, say public affairs pros. 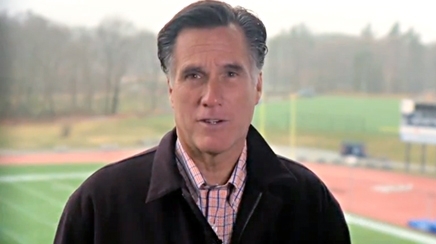 Mitt Romney's challenge came to a head in a recent speech, in which he continued to support the healthcare plan he signed into law as governor of Massachusetts. Gail Gitcho, communications director for the Romney bid, could not be reached for comment. She is a 10-year veteran of Republican campaigns, including John McCain's run in 2008. The challenge facing Tim Pawlenty, a former Minnesota governor, is summed up in a May 19 Time Magazine profile, titled "Mr. Nice Guy." Alex Conant, press secretary for Tim Pawlenty, says his campaign's biggest asset is Pawlenty's character and back story. His mother passed away when he was young; his father was a truck driver. To help raise his profile, Conant says the campaign team has put social media at the forefront of the bid. “It is not a replacement for face-to-face interaction, but we are supplementing traditional campaigning with social media to engage supporters and voters,” he says. For instance, they have leveraged Facebook to make announcements and hold town halls. Engage, a political media firm, is assisting with the digital strategy for the campaign. “Social media is one space we have invested heavily in terms of recruiting talent,” Conant says. Still, with the recent exits of Mike Huckabee and Donald Trump, there are no clear favorites for the Republican presidential nomination. But both Harris and Reynolds agree Mitch Daniels has the experience to be a strong contender – if the Indiana governor decides to throw his hat into the ring. Given Obama's sophistication with social media, all the Republican candidates face the added challenge of how to best use online interaction in their communication.